You may have seen our previous post in September announcing that historical images from the ECRL archives had been added to Minnesota Reflections, the online collection of the Minnesota Digital Library (MDL) as part of the Digital Public Library of America’s Public Library Partnerships Project (PLPP). One of the requirements of the PLPP grant, funded by the Bill and Melinda Gates Foundation, was the creation of online exhibitions. DPLA Hubs and public librarian participants researched and curated 10 exhibitions showcasing content digitized through PLPP. As a result, we are pleased to announce that an exhibition featuring an ECRL image is live on the Digital Public Library of America (DPLA)! 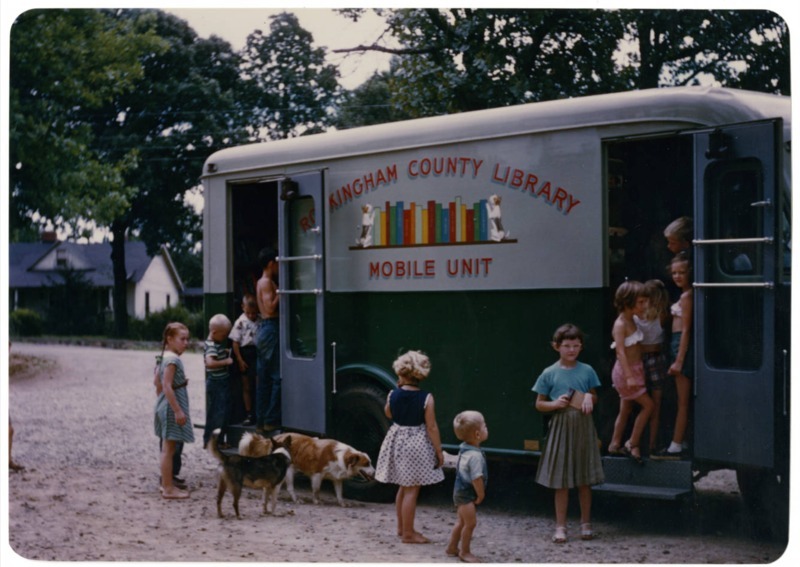 This exhibition tells the story of the American public library system, its community impact, and the librarians who made it possible—from the founding of the first US libraries through the first one hundred years of service. Can you spot the ECRL image? Images from other Minnesota libraries? The exhibition was written by Franky Abbott, Project Manager for DPLA. I was lucky enough to be able to be involved in the process by serving as a reviewer for a draft version of the exhibition, providing feedback to revise and improve the exhibition before it went live. The exhibition on Urban Parks grew out of PLPP materials contributed from the Minneapolis Park and Recreation Board, the Parks Department of Washington County, Stillwater Public Library, Duluth Public Library, and other park-related items already in Minnesota Reflections. The exhibition was built by Carla Urban, PLPP Grant Coordinator for MDL. This exhibition on patent medicine was built by Greta Bahnemann, Metadata Librarian for the Minnesota Digital Library. It includes a section focusing on patent medicine in Minnesota, and was inspired by materials from the East Polk Heritage Center in Fosston, Minnesota. It also includes significant images from the Winona County Historical Society and the University of Minnesota’s Wangensteen Library on the History of Medicine. Stand by for ECRL’s final PLPP collection to go live in Minnesota Reflections. Part 3 of this blog series coming soon!